B. Thomas (Arlington, Texas, United States) on 6 June 2018 in Animal & Insect. 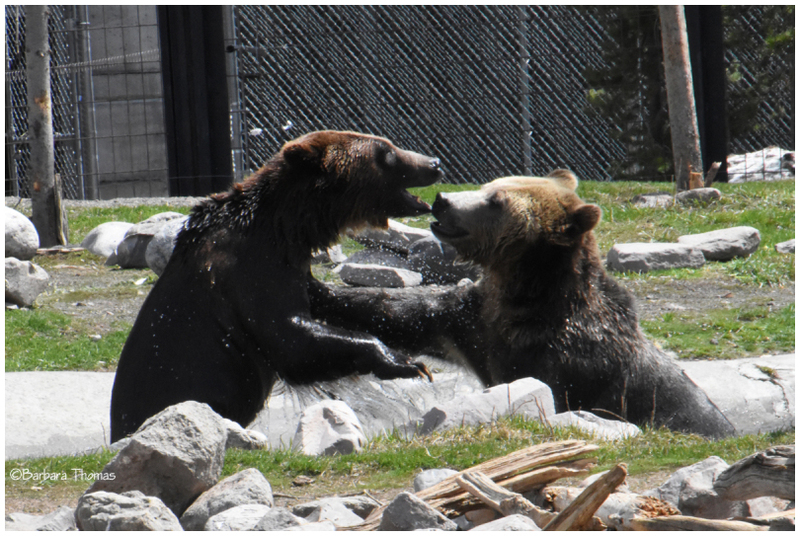 These bears were just goofing off in the water at the The Grizzly & Wolf Discovery Center in West Yellowstone, Montana. It is a not-for-profit wildlife park and educational facility opened in 1993.
one day I would like to visit this national park ... it is a big desire but I hope to have the means to realize it one day. What power is there in this bear game ! Fun shot. That said, I wouldn't want to be playing with these guys. I agree with SHerri - like two kids, or pets playing! Adorable. Great timing on your part to get this fantastic action captured. They look like they are having a great time! A wonderful image!